Grabbing a barber grade clipper is like enjoying a Harley-Davidson instead of driving a moped. Sheer power and professionalism. Any barber starting out needs 3 main tools: an adjustable blade clipper, a detachable blade one, and a T-blade professional trimmer. We’ll take a look at all of them in this guide and also talk about the best barber clippers and best barber trimmers we have today. However, the precise cuts and sheer power you will experience with professional barber clippers has no equivalent. You will love them. Your hair will do so too. 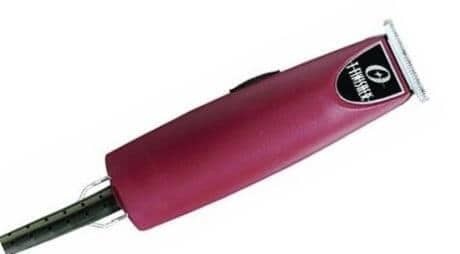 You can love Wahl professional hair clippers. You can love Andis tools too. But there’s one definite winner among professional grade hair clippers, and that’s Oster Classic 76. A second after grabbing it you’ll understand why. Oster’s best barber clipper come with a single speed universal motor. The 76 will roar its way to cutting all types of hair, no matter how dense these locks are. Forget about having to pass through your scalp a few times to score a proper cut. It’s one-go-and-you-are-done with the output this fellow’s motor has. The Classic 76 is a detachable blade Oster clipper. Out of the package, you’ll receive the standard #000 and #1 Oster blade sizes – leaving your hair at 1/50″ and 3/32″ respectively. Made of stainless steel, they have gone through rigorous tests in ultra harsh environment to prove their sharpness and durability. Remember – one go, and you receive a smooth, precise cut. Oster Classic 76 is one of the toughest hair cutters you’ll see around. Its housing is ultra durable, break-resistant and screams class. Marveling at its vintage looks, you’ll touch the essence of American barbers and their craft throughout the decades. With this barber grade clipper you’ll also receive blade guard, lubricating oil, clipper grease and an elegant cleaning brush. A 9-feet, extra thick power cord will take care of your heavy-duty Oster Classic 76 needs. As we point out in our 76 Classic review, this guy does come with a few drawbacks. But if you’re looking for a set of the best barber clippers and best barber trimmers, this is your #1 choice. 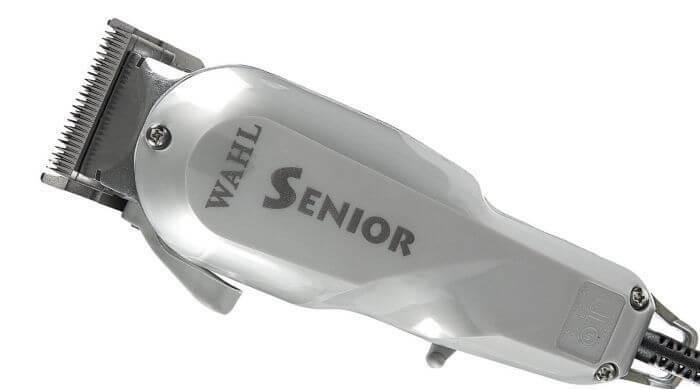 Joining the crowd of extra tough best barber clippers, Wahl Senior is Wahl’s heavy artillery. It all starts with the V9000 electromagnetic motor. An absolute beast of an engine, it combines heavy-duty action, increased strokes per minute and relative quietness (for a professional clipper.) A major improvement on the usual V5000 motors on Wahl pro tools. Many pros call the Senior clipper the “father” of all electromagnetic motors with a reason. This model paved the way to professional tools, earning any barber’s respect. The Wahl Senior #1005 blade is a good reason for that. These best barber clippers are made of quality stainless steel, ready to deliver extremely close and precise cuts. Unlike Oster 76, the Wahl Senior is an adjustable blade clipper. You have a side lever that controls the #1005 blade going from shorter to lengthier cuts, depending on your preferences. If it’s not enough for you, you can zero gap it so it cuts even closer. 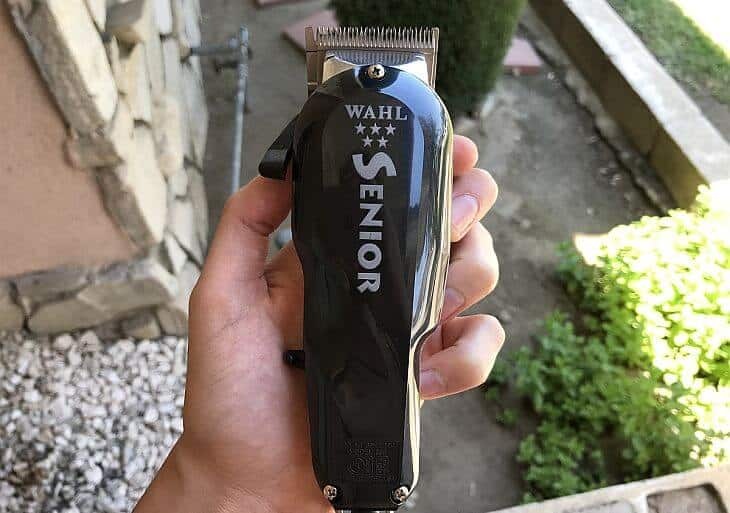 If you want to do fades, the 5 star Senior is an even better option due to its special Wahl fade blade. The Wahl Senior is yet another ultra durable barber clipper. 6.5” long, it has a metal (chrome) lower part and a hard plastic cover. Its industrial design is not that attractive as the Classic 76 vintage looks, but it will prove to be as fall-resistant as its Oster competitor. This is why it’s considered to be one of the best barber clippers we have in the market today. In terms of accessories, you’ll receive three attachment combs (1/16” to 3/16”), Wahl clipper oil, a cleaning brush and a red blade guard. Wahl have also thought of instructions that you can use for better understanding of how this professional Wahl best barber clippers work. You can also learn more in our extensive Wahl Senior clipper review. Normally, you would see the widely revered Andis Master hair cutter here. However, a few months ago Andis put out a new barber clipper model. Pro Alloy XTR is here to redefine what Andis’ best barber clippers are all about. The electric clipper’s innovative XTR technology allows it to run 35% cooler than the Master. It also vibrates 20% less, tackling two of the main issues with professional grade hair cutters. At the same time, it doesn’t compromise on output. A powerful electromagnetic motor will yield you results similar to both the Wahl Senior and Andis Master. The Pro Alloy clipper comes with carbon-coated stainless steel blades. They are specifically intended for high volumes of hair and fit any barber shop or pro needs perfectly. Their coating ensures extra durability and sharpness. In addition, this is a great fading clipper if you plan on doing some tight fades. These Andis best barber clippers really shine in terms of ergonomics. 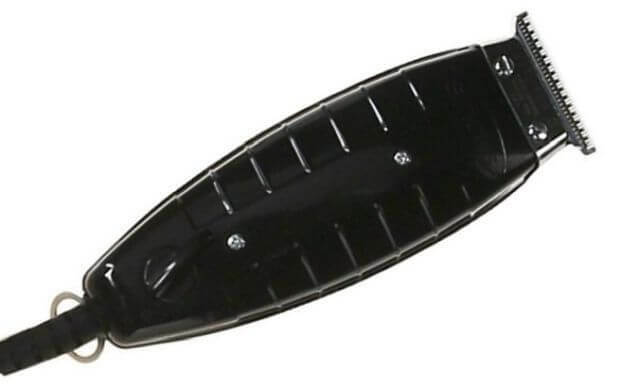 The XTR body is made of metal, however the top part features a slightly textured hard plastic. It allows for better grips and more secure holding for even more precise cuts. As holding a high grade clipper can feel tiring after a while, the Pro Alloy body extends your comfort as much as possible. A very lucrative option in terms of accessories, this model comes with a whopping nine Andis guards! The best barber clippers we recommended you seem fine, but something’s missing. You long for increased mobility and don’t want any cords lying around. A haircut should be a fruit of complete freedom, or so you think. Fret not. Here come the absolute best of the best – professional cordless hair clippers who have no analogue on the market. While more expensive, they will provide you with an even more unforgettable experience. It would be just like you went to a high class stylist and got the cut you dreamt of. No, this is not a dream. You’re getting all of this with the Supra ZR, packed in its 8.13″ body weighing 1.1 lbs. I admit, this Andis best barber clippers leans on the bigger side with all these inches. However, it’s lighter than the Seniors, for example, and features a cordless mode. So while the body is bigger, the flexibility it offers you kind of redeems the design. 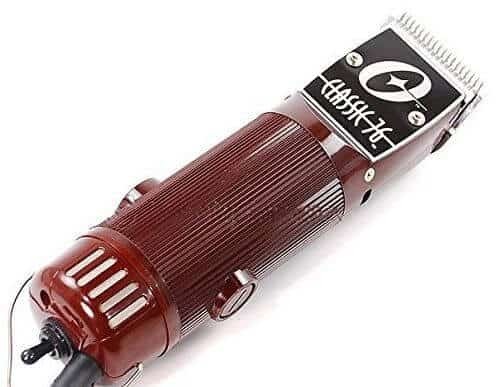 The Supra ZR is the only barber clipper in this list that lets you change the motor speed. As any stylist knows, different types of cuts require different approaches. 3800 strokes per minute are perfect for bulk cuts, while lower power will aid you with your more gentle grooming purposes. You can also count on the typical Andis attention to build quality. Made of tough polymer enveloped in a mix of metallic blue and silver, this is the best detachable blade clipper for barbers. A total performance monster, as we note in our Supra ZR review. Japan is famous for its amazing attention to detail and the ER-16-11-K cordless clipper is a great example for this. Japanese barber shops are renowned for their outstanding service and this Panasonic model can be spotted among the most premium Japanese stylists. ER-16-11’s trademark is its linear motor that allows for 10.000 cutting strokes per minute. This is almost twice the usual Panasonic rotary motors (6000 strokes/minute.) Smooth and powerful, the linear engine will power any heavy-duty needs you might have. This cordless clipper’s blades are like a katana. They cut sharp, quick and with masterful accuracy. Thicker hair types or the usual suspect for clipper trouble – curly hair, stand no chance. The ER-1611-K cutter will graze through them in one go. With this Panasonic model, you get a built-in dial. It will control the cutting length from 0.8 to 2.5mm as per manufacturer instructions. Additional length customization is possible through the 3 attachments you will receive with the ER-16-11 clipper. This cordless clipper for barbers will run for up to 50 minutes, so you can get quite a few cuts in one charge. Charging it will require only an hour, which ranks among the industry’s fastest recharge times. A low battery indicator will help you stay in touch with the battery life. Last but not least, the ER-16-11 barber clipper is miraculously lightweight at 5.7oz. With Japanese attention to convenience, its body ergonomics make sure it fits your palm, won’t slip, and won’t tire your hands at all. It also supports worldwide voltage, running on 100 to 240V. 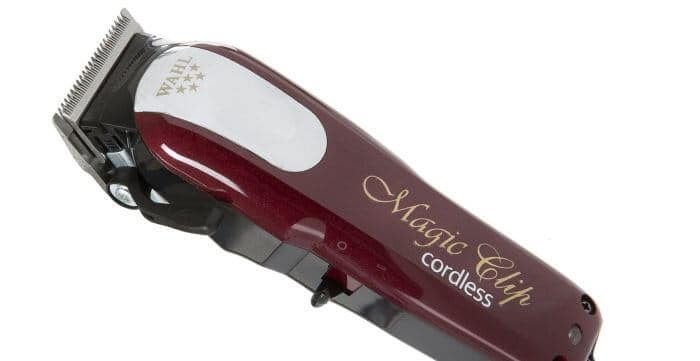 If the corded version of Wahl’s 5 star Magic clip is amazing, the cordless Magic clipper shoots for the skies. The beginning is its high grade rotary motor – providing an equal “kick” in terms of strokes per minute and blade speed. 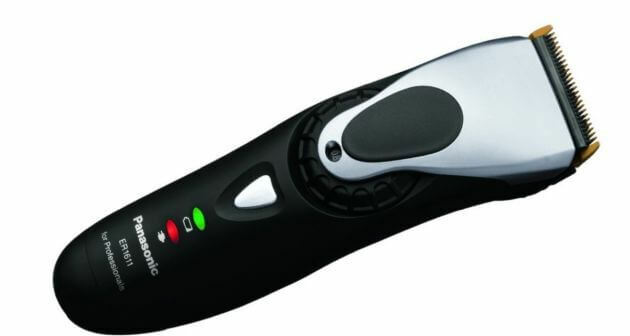 A powerful cordless hair cutter for barbers considering its lower price tag. The 5 star Magic Clip comes with Wahl’s unique stagger-tooth crunch blade. Its shape and approach to cutting is specifically aimed at people who want to get a great clipper for fades. Of course it will also glide through tough hair types, such as curly or ethnic hair too. Once again you have a lever to control the cutting length. Similar to the Chromstyle, the cordless Magic clipper features a durable battery life. You’ll get up to 90 minutes (usually around 80) of Lithium-ion battery runtime. In order to charge it you’ll need anywhere from 3 to 4 hours. The 5 star Magic Clip professional clipper is rather lightweight, just like our previous cordless recommendations. At the same time, its slightly bulky body will yield you a better grip for solid hair cutting strokes. Indeed it’s a bit bigger than the Chromstyle or Panasonic’s offer. Yet this little drawback is compensated by its more lucrative price. For a full breakdown, you can read our Wahl 5 star Magic Clip review. A professional hair trimmer is the perfect supplement to your kit with barber tools. Which is why we’re presenting you the top 3 best hair trimmers or best barber trimmers. The Wahl 5 star Detailer comes with the brand’s premium T-wide #2215 blade. Its quality stainless steel gives way to perfect edge ups, beard trims and magnificent outlines. The Detailer’s T-blade will net you crisp, sharp lines every time you put it to work. If you want even sharper, closer cuts and detailing, you can zero gap the T-blade. Be careful, though, as it can become too sharp and you risk hurting yourself (or your clients.) In case you know your art, however, a zero gap Detailer blade will deliver outstanding lining results. These best barber trimmers from Wahl’s is 5” long and weighs 6.9 oz. Its body is protected by hard plastic and considering its output, weighs very little. A rotary motor takes care of strokes per minute and overall power. The burgundy, mixed with white and chrome finishes makes it very elegant and somehow aristocratic. The 5 star Detailer doesn’t come alone to you. It’s accompanied by three Wahl guides (1/16”, 1/8” and 1/4”), a cleaning brush, Wahl clipper oil, and a red blade guard. Keep in mind finding additional guards can be tough, due to the Detailer’s T-blade having special dimensions. I can sense your incoming question: why not go with the classic Andis T-Outliner with T-blade? Well, there’s quite a few reasons why the GTX Outliner is better than any other Andis best barber trimmers. First things first: the blade. The Andis T-blades of the GTX version are thicker, with the teeth being deeper than the standard version. This means cleaner cuts and better performance with thicker or curly hair. In addition, the GTX T-Outliner comes with a thicker cord with a 3-pronged plug, adding more stability to this Andis hair trimmer. The trimmer measures 5.5” and weighs 11.2oz, making it heavier and bigger than the Wahl Detailer trimmer. It’s, however, a tad more powerful, with its electromagnetic motor running on 7200 strokes per minute. The carbon-coated stainless steel blades of the GTX T-Outliner make great use of the motor with their wider surface. Unlike other best barber trimmers, this T-blade hair trimmer is perfect for cleanups, especially necklines. You can also use it when performing fades. The wide blade design, however, might make shaping mustaches and narrow areas a bi harder. The stylish trimmer with full-on gloss back finish is a perfect addition to any Andis barber clipper like the Master or Pro Alloy. Usually you’ll get 4 Andis guards with it, as well as some oil. However, this varies by vendor, so always be sure to check beforehand. You can also read our Andis GTX vs Wahl Detailer comparison to make your decision before buying. With Oster being a heavy-duty, barber-oriented brand, you can bet they have a hair trimmer for professionals ready. The T Finisher, adhering to usual Oster standards, is slightly heavier and bigger. However, it’s also a grade A barber tool. 1.5 inches wide, the T Finisher blade is perfect for sideburn cleanups, ear area trims, neckline cleanups and beards. Durable and sharp due to the special Oster Cryogen-X technology, it cuts remarkably close and smoothly. You can actually perform chest hair trims quite well with it. Unlike Oster barber cutters, however, the Oster T Finisher is rather quiet. You won’t hear it buzzing like the GTX or Wahl Detailer. Instead, you’ll get a gentle humming that seldom escalates to louder frequencies. Its body is somewhat narrow, allowing for a strong grip despite the overall bulkiness. The T Finisher is a terrific trimmer to go with if you decided to fetch the Oster 76 barber clippers. As heavy-duty clippers, the 76 is perfect for high volume hair cutting and bulk work. The T Finisher will add the final touches with fine detailing and overall designing. You’ll receive quality Oster lubricating oil and a cleaning brush with this Oster hair trimmer. It comes with a 8-feet cord of solid build so you’ll have plenty of space for maneuvering around. If you’re interested in other buyer’s guides, don’t forget to check out our best fading clippers! the SupraZR is my jam..yet to see someone else xcept Andis making a detachable clipper like this with 5 speeds in one..really helps out depending on what you want to do with the clipper. ceramic blades are also great, reminds me of the bgrv Andis I used before switching to the Supra. Not changing it for anything!! !